Racing thoughts, tossing, turning, begging and pleading for sleep, the sweet mistress evades you. Each moment that passes brings you closer to the dawn. You dare not look at the clock, which will only tell you what you already know. If I go to sleep now, I’ll have five hours of sleep. Four. Three. We’ve all been there. Having trouble falling and staying asleep is a problem that plagues us all at one time or another. Some suffer more than others, even having their job performance, health, and happiness diminish from insomnia. Yes, we’ve all been there, and we all know the drill: drink less caffeine, exercise, no sugar, blah, blah, blah. These pieces of advice, however useful and relevant, do not address the real problem. Even if these potential causes of poor sleep are eliminated, a significant number of people will not even reach the stage of REM sleep (dreaming), will still not be fully rested, and insomnia will continue. Why is that? There are five brainwave patterns found in the human brain: Gamma, Beta, Alpha, Theta and Delta. The first two brainwave frequencies, Gamma and Beta, are associated with our waking state. The reason you can’t sleep is not sugar, caffeine, lack of exercise, or anything of the like (though you can’t go wrong with cutting down on sugar and caffeine and getting a decent amount of exercise each day). The real reason you can’t sleep is because the brain is staying in the high-frequency brainwave patterns of our waking state. Gamma and Beta brainwaves are fast-moving waves which allow us to process high volumes of information quickly and keep us alert. We measure brainwaves in Hertz (Hz), or the number of oscillations of the wave in one second. Gamma waves – the fastest brainwaves, associated with the genius mind – vibrate between 38 and 100 Hz, though 40 Hz is typical in the human brain. Gamma brainwaves process information from multiple brain areas simultaneously. The mind must be still to access this state. Researchers originally rejected Gamma frequency as “spare brain noise” until they discovered the points at which the brainwave pattern became active. Universal love, altruism, deep focus, expanded consciousness, and spiritual emergence are states which activate the Gamma brainwave. This is a brainwave reached in deep, focused meditation. It is unlikely, though hardly impossible, that you are functioning in this brainwave pattern while you fight for sleep. Beta, the most occupied state by people today, vibrates at 12 to 38 Hz. There are three stages of Beta brainwave patterns of rather unoriginal names – Beta 1, Beta 2, and Beta 3. Beta 1 (12-15 Hz) is known as “Lo-Beta” and occurs when you are musing or daydreaming. You are fully awake in this state, but are zoning out. Beta 2 (15-22 Hz), or just “Beta,” is present when you are highly engaged in an activity or conversation, or actively problem-solving. Beta 3 (22-38 Hz) is called “Hi-Beta” and is associated with complex thoughts, absorbing new experiences into the subconscious, high anxiety and excitement. If you’re hanging out in Gamma or Beta, you’re sure not sleeping. When you are having trouble falling or staying asleep, your brainwave patterns aren’t slowing down enough to move you through the stages of sleep, of which there are three. Those who are experiencing sleep difficulties, if they do fall asleep, spend their time in Alpha state – just below the surface of wakefulness. This is why it is so difficult for many people to stay asleep. They’re seesawing back and forth between Alpha and Beta. Alpha brainwaves are slower than the two brainwave patterns associated with our waking state. It vibrates between 8 and 12 Hz. It’s the resting state of the mind, reached in the moments before sleep, when we are lightly dozing and when resting with our eyes closed but are conscious. It is the frequency of “being in the now” or being completely present. If one reaches Alpha State while awake, they will experience a feeling of calm and total wellbeing. Theta brainwaves are truly awesome. Oscillating between 3 and 7 Hz, Theta is associated with REM sleep, or dreaming. This is the frequency our subconscious minds operate at. This is where we can access our intuition, imagination, sponge-like learning, and states beyond our conscious awareness. Theta is known to be present when lucidly dreaming and in deep meditation. Sadly, most people never even get to Theta when they sleep, and if they do it is fleeting. Delta brainwaves, the slowest pattern, vibrate as low as 0.5 Hz to 3 Hz. This is a loud, all-consuming sound, and is experienced by those in the deepest meditations, such as one-pointedness mediation. This is your dreamless sleep, and is the most restorative form of sleep – the healing state. When in this state, external awareness is suspended. There is no separation between yourself and all-that-is, no body and no environment. Reaching Delta, you will sleep deeply and wake fully rested. The cause of improper sleep lies in the brainwaves. You learned that most of us with sleep problems are hanging out in the higher brainwave frequencies and our brains are not automatically shifting down to those slower brainwave patterns. We’re essentially in high gear, all night long. But how do you influence your brainwave patterns to slow down? The answer lies in frequency. When the brain is introduced to a vibration, such as Delta, it seeks to align with that frequency. Playing a Delta frequency through stereo headphones, your brainwaves will synchronize to Delta state within 6 to 10 minutes. By that time, however, you’ll be sleeping like a rock. The album below, “Nada Yoga,” is designed specifically for those who suffer from poor sleep, with Alpha, Theta and Delta brainwave frequencies embedded into calming music that will lull you deep into sleep. Each song features a brainwave pattern associated with sleep. The first three songs have an Alpha brainwave frequency embedded within them. The fourth song features a Theta wave, to move you from light sleep into the slower vibrating REM sleep pattern. Embedded into the final song is a Delta brainwave frequency, bringing you to the deepest level of sleep. “Nada Yoga” means “union through mystic sound” in Sanskrit, and was the inspiration for the album. The idea was to create tracks that would lead the listener to lose their sense of body, as is typical with Delta state. The songs are named in Sanskrit as well, and each relates to a different state of consciousness and spiritual liberation. Maya (illusion), Subhechcha (noble desire), Nada Yoga (union or devotion through mystic sound), Atma Dhyana (realization of the Self through meditation) and Kaivalya (detachment or liberation from the material world, but is not the final stage of enlightenment). The album’s value is twofold: it can be used to access profound levels of meditation during your waking hours, as well as lull you to sleep when you need it most. The album seeks to balance your brainwave patterns so that you can live a tranquil and vibrant life where the phrase “I can’t sleep” is a thing of the past. Click the image to stream the music for free, or to purchase the album for use at bedtime. Listen at a low volume so that your conscious mind does not try to analyze what you are hearing, allowing you to drift off into bliss. Sleep tight! There are six steps to manifesting anything you want. These are simple, easy to follow instructions on how to manifest money, a job, a lover – whatever you so desire. The steps have been taken from Think and Grow Rich by Napoleon Hill, written during the Great Depression. Hill worked with Andrew Carnegie, who was the richest man in the world at the time. Through Carnegie’s guidance, Hill interviewed 500 of the most successful men of the age about their paths to prosperity and compiled his findings into the book. These steps can be found in nearly every personal finance guide out there, but with a lot more fluff and frills. The same steps can be used to manifest anything you want, whether that’s money, a car, a lover, a fulfilling career, a house, or anything else. If you can think it, it can manifest. Below, you will find the six steps with a brief overview of what they entail. 1. Create a clear and concise statement for your desire. You must fix in your mind exactly what your life will look and feel like when your desire has manifested. If you want heaps of cash, be definite as to the exact amount. If you want a lover, create a list of their specific character traits and qualities. If you want a new job, see with absolute clarity what it would look and feel like to be in that position. In all cases, you must give no attention to the not-having of it, and instead focus on what it feels like to have that money, lover, job, etc., and feel it now. 2. Decide what you intend to give in return. In no reality does there exist the concept of “something for nothing.” You must give in order to receive, so what will it be? For the desire of riches, you must give goods and services that provide value to your clients or customers. If you work a job and wish to advance, you must more than fill your present place and provide more value to your superiors than they give you in cash value. Same goes for business. For the desire of a lover, you must give love freely to receive it, and you can give this love to everyone you meet without ever saying a word. 3. Determine a definitive date for the manifestation of your desire. There is a psychological connection with establishing a definitive date for having something and the manifestation of that desire. For example, “I will have one hundred thousand dollars by January 1, 2018,” is a much more powerful statement than, “I want more money.” The statement, when repeated, forges a neuropathway in the brain that causes the subconscious to act upon it as a set of instructions. The subconscious will then lead you to make the decisions that will bring you closer to your goal. The vague statement, “I want more money,” may translate to you finding a penny on the street. There, you have more money! But that’s not exactly what you meant, is it? By stating what you wish to have and by when, you are giving the subconscious clear instructions on which to act. Be clear, be concise, and be definitive as to when you will have what you desire. Create a plan through which you will reach your desire. Now, you may not have any idea of how to do it at first, and that’s just fine. You set the wheels in motion by deciding on what you want, determining the value you will provide in return, and setting that definitive date for the manifestation of your desire. The plan will come to you as you become open to receiving it. It will come as an idea, or you might see a commercial or billboard that spurs you to take some action, or possibly a conversation with a friend will illuminate your next step. Be vigilant, be open, and you will receive the plan. If you have some concept of how you will carry out a plan for your desire, go for it. Once you receive your plan, begin at once to put it into action and be adaptable as you move closer to your goal. You may need to shift course every now and again, which is completely normal. 5. Write out your statement. This is where you take what you learned in the above sections and put it all together in a concise statement of intent. Write out a clear, straightforward statement of what you are specifically desiring (what it looks like and feels like to have the money/job/lover), the time frame for its manifestation, what you intend to give in return, and the plan through which you intend to see to its manifestation. Your statement should be written in the present tense and in positive language, and spoken when in a happy or peaceful mood. 6. Read the statement out loud. Read your statement of intent every day, once in the morning when you wake up, and once before bed. While reading, see and feel yourself as already having what you desire. This is important, as the mind cannot distinguish between something real and something imagined. The repetition of your statement will create a neuropathway in your brain that will integrate your statement directly into your subconscious as a set of instructions to act upon. If you walk through a wheat field, untouched by man, you will be able to see your path through, but the wheat will again return to its original, upright state. If you walk that same path over and over, the wheat will lie flat and a path will have been forged. So it is with the subconscious mind and your statement of intent. We have a free, printable worksheet in PDF format available to aid you in creating your statement of intent. This worksheet guides you through each step, and features a blueprint at the end for an effective statement of intent. Slip on a pair of stereo headphones (or earbuds) and listen to the tones at any time. You don’t have to sit with your eyes closed for the frequencies to work, so you can listen while you’re cleaning, working, or are on the go. It takes an average of six minutes for your chakras to respond to the frequencies, and as such, we have made each track last ten minutes. When your chakras are in balance, so are you. Click the button below to stream the album for free, or to download your copy today. This morning when I was getting ready to meditate, I thought I would try something new. Just last night I downloaded a meditation timer app called “Timeless,” which has some great free features like goal-setting and progress tracking (which to some meditators seems a bit paradoxical) and some subscription-based features like meditation classes. I downloaded this app not for help in my own meditations, but rather because I am always seeking more meditation tools to help my students. I will write a full review of this app after I subscribe to their paid features and take a few classes, but for now, the free features are working out just fine. Okay, so the app was not the only new part of my morning meditation practice. At the advice of Zen Master Thich Nhat Hanh, I lit some incense next to a small wooden Hotei statue (which most know as Fat Buddha or Laughing Buddha). I’m not “praying” to the statue, but it is there as a symbol and reminder of the nature of The Buddha. So that makes two new things added to my morning meditation. I decided to add a third to get that magic symmetry in there. The third new thing I added this morning was mudra. “Mudra” are specific hand positions, which are said to align the energies in the human body to perform in a certain way. For example, some mudra are said to alleviate back pain or improve concentration. I was using a mudra today called “vitarka” which is commonly associated with meditation: index finger pressed against the inside of the thumb while the other three fingers are either extended or relaxed. I usually used dhyana mudra because it is highly comfortable for sitting meditation, but today I used vitarka mudra as a tool of focus. I did not assign the object of meditation as the mudra – I simply allowed the mudra to be without disturbing it. I want to talk a bit about the altar. I started offering incense during meditation as a way to program my mind. Through the lens of neuroscience, over time the firm smell of incense can be used to trigger the meditative state of mind. This is why incense is so strong – it is designed to overwhelm the senses. This process takes some time. If you would like to do this, I recommend it. Have you ever gotten a whiff of a smell and were instantly transported to a time and/or emotion in your life? That’s exactly how the incense meditation works! First, find some incense that is new to you, yet pleasing. When you go to meditate, bring this incense with you (and a lighter or match). When you sit down to meditate, ignite the incense. When the stick glows with flame, blow the fire out, and the embers will smolder – thus releasing the fragrance. Practice your meditation the same way you have been doing, and over time your mind will associate the smell of incense with the practice of meditation. Therefore, getting “into” the meditative state will be easier and easier. The altar was kind of weird to me. I have never been the praying type, nor did I regularly attend any churches or synagogues as a child. The altar always seemed to me to be just praying to a statue, which I always attributed to something “bad” or “wrong.” That attribution stems back to hearing the stories of Moses and the people praying to the golden calf. Needless to say, setting up the Hotei altar seemed weird, and I always thought of Hotei statues as kitschy. In meditation, my eyes are closed, so the altar’s purpose seemed null. I noticed thought after thought trail by pondering the statue. “Am I praying to a statue?” and, “Didn’t I hear something about not being a stone Buddha?” The trail of thought continued. A genuine delight with the altar was revealed when the bell chimed (which was pleasant and short from the Timeless app) because I opened my eyes to see Hotei sitting there, smiling at me with his big, infectious grin. I instantly and involuntarily smiled back, ear to ear. Smiling like that made me feel pretty good. In fact, it made me feel okay. If you’ve seen Mad Men, then you know the reference that advertising is not selling products, but it is selling happiness: the feeling that what you are doing is okay. Hotei gave me that feeling – or rather, I gave it to myself, inspired by that little wooden Hotei. I got the feeling that I did it right, which is huge. Beginner meditators, including myself, sometimes struggle with the thought, “Am I doing it right?” or, “You’re doing it wrong.” These thoughts can be incredibly distracting. Once I saw the Hotei statue, I felt like I was doing it exactly right. Or more, the way I do it is right for me. To sum up, Timeless is ideal for unpaid features (for now, updates will follow including a full review). You can use incense for building neural pathways that connect the smell to a state of mind, and I found the altar was a strange yet rewarding experience. Try some of these techniques out for yourself – or all of them – and drop a comment below telling of your experience! We love to hear from our readers and will reply back personally. Thank you for reading! For more insights, meditations, and reviews, be sure to like, follow, and otherwise subscribe to this site. This infographic is intended to be a guide for you to reference as you master balancing your Chakras. In the image below, we discuss everything you need to know about balancing your Chakras with sound, as well as information about the Chakras themselves – their color, sound, Sanskrit words, and mantra. If you want to download this file for reference, instructions to do so are at the bottom of the infographic. 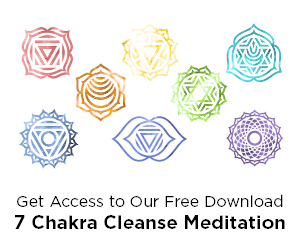 If you haven’t already, click the image to the right to get our free “7 Chakra Cleanse” meditation song. The music is designed to balance all of your Chakras over the duration of the song. Happy Chakra Balancing! Click to enlarge, then right click and save to download for free. This file is for reference and sharing purposes only. Copyright Revolution Frequency 2017. 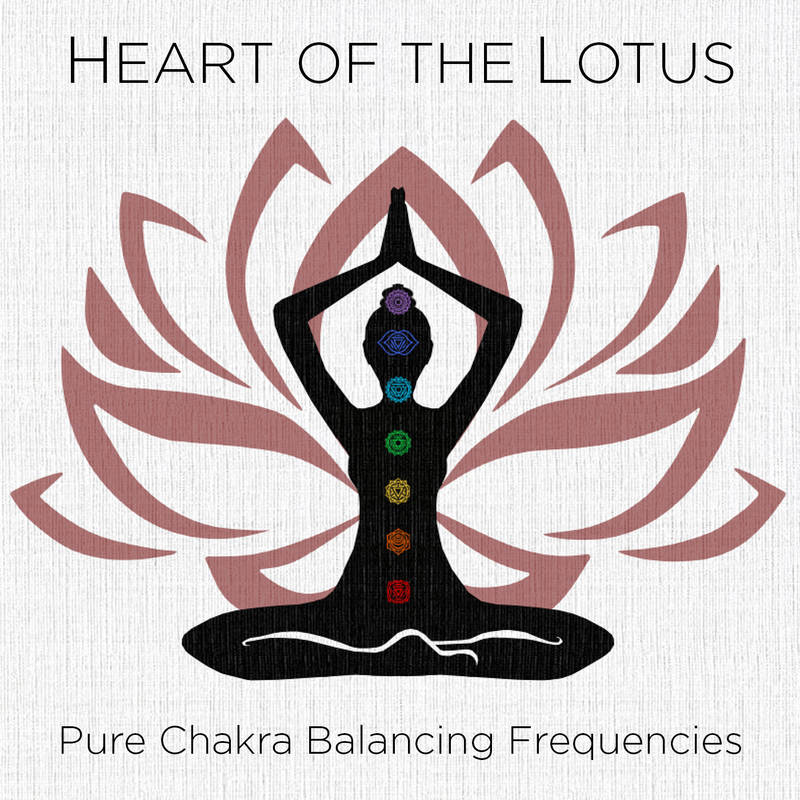 To tune your Chakras, check out our newest album “The Heart of the Lotus: Pure Chakra Balancing Frequencies.” The album features the seven pure Chakra frequencies discussed in the infographic above. Getting more done in less time – this is a concept that lives close to my heart. I work from home as a content creator for several sites besides my own. With several sites to manage and create content for, I found that I had too much to do and not enough time to do it in. Sound familiar? I knew I only had a certain number of hours per day to dedicate to each site. I realized that I simply couldn’t work any more hours than I already did, lest I drown in my work and end up putting in 60+ hours a week. Through this realization, I concluded that I needed to be more productive to make more money because when you’re self-employed, time really is money. Then, while listening to a podcast (Smart Passive Income), I was introduced to Mike Vardy of Productivityist.com. Mike spoke on several topics that were pure gold, but my biggest takeaway from his interview was the idea of theming my days. I’m going to share with you how I do it and discuss how it has greatly affected my life, my level of Zen, and my workflow. We all have certain tasks that we do on repeat every week. As a content creator, I am constantly writing articles and blog posts, create images and infographics, making content for social media, drafting up graphic design for advertisements, shooting and editing video and motion graphics, and uploading all of that onto each site they correspond to. Previously, I would tackle things project by project, working on that one thing from start to finish so that I could cross it off my list. That seemed to be the most productive way to do things at the time. After theming my days, I found out that was not the case. Let’s say I was writing an article. I would outline, write, edit, put it into WordPress, edit the tags and categories, add images, preview, then publish. There are very different mindsets that go along with each of those tasks. Here, we have a mix of right brain and left brain activities (writing = right brain, editing = left brain) and a variety of different programs used to execute each task. Hopping between Microsoft Word and Google Chrome, I lost time in ways I didn’t even know were possible. Instead of continuing in this non-productive way, I themed my days. Theming your days will lead to a more productive life, which will create more Zen and peace of mind within you. You will work better, feel better, and be better. I’m going to run through my week with you, starting with Mondays. Mondays are my writing and planning days. On Mondays, I determine which projects are the most important by asking myself, “what is the one thing I can do right now to make everything else easier or unnecessary.” By asking myself this, I choose to work on the projects that will yield the highest return at that moment. I learned this technique from The One Thing: The Surprisingly Simple Truth Behind Extraordinary Results by Gary Keller and Jay Papasan. After choosing which projects to work on, I batch my tasks. Let’s say, as an example, I am writing articles. I start by outlining each article, then I switch over to writing mode. I write each article, one by one, until they are all done. By doing all similar tasks at once, I am not splitting my focus. When you switch back and forth from tasks that require a different part of your brain to light up, it is distracting and takes time to settle into the new task. Batching the tasks so that when I am writing, I am only writing, makes the process go by quicker. I went from outlining, writing and publishing two articles in a specific time frame, to outlining and writing four articles in the same amount of time. I got more done without working more hours. I have several clients I create audio and video for. I work with LA-based producer, David Yuvienco, on various projects that require me to record vocals and instrument tracks for other artists and our own endeavors. I employ the same tools mentioned in the section above to determine what I should be doing at any given time, and batch those tasks as well. I record all vocals at once, and all other instruments that require the use of a microphone. Then I record all instruments which require midi or an audio cable. After that, I do any necessary editing, and then upload to Dropbox or email David directly. As you can see, I am working in the most efficient way possible. For Revolution Frequency, I do all my music making on this day, too, in a similar fashion. For video, I will do all my line cuts in Adobe Premiere Pro, and when it comes time to edit audio, I open Adobe Audition. The idea here is to do everything that needs to get done in a specific program before opening the next one. Sometimes I will have Adobe Photoshop open when I am editing because I am working with images while editing the video, but that’s about as far as I stray from this framework. After that, I WeTransfer the videos over to the clients for approval. By the way, Adobe now has a subscription plan where you can pay monthly for a single application or for the entire Adobe CC Suite. So, if you’re a creative who was previously denied access to Photoshop or another Adobe program because of price, go get your subscription for a reasonable amount! This is the last day of my work week as it pertains to clients and my own sites. On this day, I’m publishing and scheduling those articles I wrote earlier in the week and uploading the videos to YouTube. All WordPress tasks get addressed at once, and all YouTube tasks are batched together as well. When I’m done with that, I create images for social media and publish or schedule them. I do the same for any articles or videos I have published – scheduling them to appear on social media. Any web maintenance work I need to do is done on this day as well – SEO, emailing leads, changing the design or pages on websites, etc. Again, I am doing all related tasks that use the same program or website at once so as to maximize my output and keep my focus. This is the first day of my weekend. I use it to take a break. I relax with a good book, watch a movie, or clean the house if I want to. On this day, I do my deep meditations and practice various types of yoga. I basically use the day to do whatever I want, while making sure I take care of my body, mind and spirit. I’m an artist, so this day is important to me. The second day of my weekend, I use my Fridays as a day to do some deep work on my art. I’ll draw, paint, sew, make music – whatever I want, as long as it’s creative. I might draw psychedelic ink illustrations, paint post-apocalyptic works (Beni and the Bunny) or chakra paintings, sew leather harmonica cases, or experiment with music for my audio days. Being self-employed, I didn’t have set weekends. I tended to work seven days a week for three weeks and not realize it, burn out, and be unable to work for a week straight. Not very productive. Now, I give myself the time to be free and do what I want, just like a nine-to-fiver would on their Saturdays and Sundays. Saturdays and Sundays are actually the start of my week in my mind. On the weekends, I travel to birthday parties and events to entertain children and adults with my complex balloon animals and stylistic face painting. When I’m doing this, I am only thinking about balloons and face painting. I do not bring my work week with me, knowing that all things will be taken care of Monday through Wednesday. Since I travel all over southern California to these events, I spend a lot of time in the car. Saturdays and Sundays are therefore my learning days as well, where I’ll put on a podcast and learn something that I can put into action when Monday comes around while I’m driving. This is the only kind of multitasking I will ever do. Some of my favorite podcasts are The Millionaire Mindcast, Smart Passive Income, Social Media Marketing, and Pro Blogger. 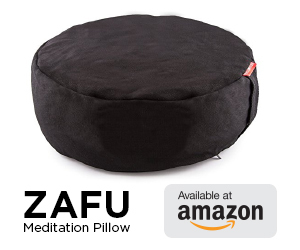 I highly recommend that you check some of these out, as they have helped to transform my life and productivity so that I can create more and be more while still maintaining a Zen life. You can theme your days whether you’re a freelancer or a full-time employee. If you have a traditional job, your days might look a little different from mine. The best part of this is that there is no one-size-fits-all template for theming your days – you create your framework based on your life and your needs. It’s not “better” if you are self-employed, nor is it better if you work full time. Everyone has a different situation and can create their themed days to work with that. Once you integrate themed days into your life, it will transform. You will get more done, in less time. You will find that your brain just feels less cluttered and more focused. You will always know what you should be doing each day, and that makes a world of difference. You will feel less chaotic, and more in tune with your Self and your needs. Try this out and drop a comment below telling us how theming your days has changed your life, what you’re doing with your themed days and anything else you want to say! We love interacting with our readers and will reply to you personally. If you want to learn more about using productivity to create more Zen in your life, check out some of our previous articles. I also recommend grabbing a copy of “The One Thing: The Surprisingly Simple Truth Behind Extraordinary Results” by Gary Keller and Jay Papasan. This book changed my life and continues to change it as I read it over and over. Check out Productivityist.com. Mike Vardy has a host of valuable tools and information you can use to be more productive. He also has a podcast called Productivityist Podcast, if you prefer to consume your information through audio. 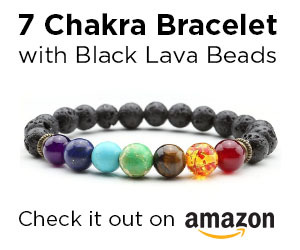 In this article, you will learn a quick and easy mindfulness meditation that you can do with your favorite mala beads! This article features a simple mindfulness meditation you can do anywhere at almost any time. For instance, you can practice this meditation while walking, sitting, standing, or waiting in line! There are two forms, the Full Meditation and Half Meditation – we will cover both. This meditation coherently blends mindful breathing techniques taught by Zen Master Thich Nhat Hanh and the use of mala beads as both a focusing tool and a timer. Mindful breathing is an excellent meditation method that I use daily, and it has numerous physical and mental health benefits. When we breathe mindfully, we are noticing our breath move in and out, or up and down. We watch, or “follow,” the breath as it moves in and out. By being aware or “mindful” of our breath, going in and out, we can begin to practice being here in the present moment. We are meditating to stop, calm, rest, and realize deep insights. Beginners often find it strenuous to stay focused on their breathing due to distracting thoughts or sounds. There are numerous tools, some of which I employ to practice continuous focus on the breath. Sometimes I count my breaths, counting exhales (as they note a full breath) up to ten and back to one. Other times I may recite a poem “in, out” for each breath, “deep, slow, calm ease,” the list of meditation tools goes on and on. For this meditation, we are using a set of mala beads as a counter of breaths. For each exhale, we flick one bead. Using mala beads for meditation also saves us from another common deterrent for novice meditators: the bell. Often, beginners sit in meditation anxiously awaiting the bell, nervous for it to ring for fear of being startled. By using the mala beads as a timer, we free ourselves from any startling bells, alarms or timers. It is a good habit to intend a particular space to meditate. Some create meditation areas in spare bedrooms, but if you lack that available space, even a corner will do. As I mentioned before, you can also do this standing or while walking, not just sitting. Creating a space for sitting meditation can be as easy as putting a cushion down or as complex as doing an altar ritual. Some people, including myself on occasion, light incense in their meditation space before sitting to meditate. Some people, including myself on occasion, light incense in their meditation space before sitting to meditate. The action of lighting incense, over time, anchors the smell of incense to the state of meditation in one’s mind, on a neurological level. Thus, when they smell it, the person becomes transported to a meditative state of mind. If you choose to do walking meditation, then find a good path or route which yields the least amount of distractions. Whatever position you wish to be in, get in it. If you are practicing sitting meditation or a form that will allow you shut your eyes, then go ahead and close your eyes. Relax your face muscles and give yourself a half-smile. A half-smile will help to relax the muscles around your eyes, in your forehead and cheeks. The half-smile will release dopamine in your brain which will build strong neural connections to peace and happiness over time. Here’s what you have been waiting for: what my carnivorous friends would call “the meat and potatoes,” (personally I prefer the ‘humus and pita’). There are two primary ways you can do this Mindful Mala Meditation. Keep in mind that, over time, you will want to customize your practice to fit your specific needs, comforts, and personality. The two basic methods are the Full Meditation and the Half Meditation. Eyes closed (if you are sitting), half-smile. Hold the mala beads in your dominant hand (for me, it is the right hand) and let them drape over your middle finger. Hold the bead next to the “Guru Bead,” or the bead with the tassel on it (if you are unsure, the Guru Bead is the bead which is either a different color or material than the rest of the beads). Allow the Guru or tassel to hang over your middle finger, away from your body. We recommend beginners recite the full “Breathing in; I am aware that I am breathing in/out,” as to help maintain sharp focus during the length of each breath. If you lose concentration, don’t have a freak-out – gently bring your focus back to your breathing. Even highly experienced meditators break concentration from time to time. When the Guru or tassel bead comes back into your hand after a rotation, flip the necklace or bracelet around so that the tassel or Guru bead hangs off of your middle finger and away from your body, like before. Begin counting your breath until the tassel/Guru comes all the way back around again. Now you are finished meditating, no alarms, bells or apps needed! We call it “Two Rotations,” because we slowly rotate the necklace or bracelet around, one bead at a time until the tassel/Guru rotates itself back into our hand. Then, we rotate it around once more: Two Rotations. You do not need to count the number of beads you flick, as the tassel/Guru serves as the timer. If you are curious, count the number of beads on your mala, so you know how many you “did” each time. Watch out for the ego, however. If you begin taking pride in high counting numbers and look down on those who count lower numbers (or don’t count at all, or don’t even meditate), then you have fallen into an “ego trap.” Meditation is not a game you can win; it is a practice. There are no meditation contests (if you find one, run far away!). Eyes closed, half-smile. Perform everything from the Full Meditation in the same way, with one exception. When you arrive at your Guru/tassel bead for the first time around, stop. Stopping when we hit the tassel/Guru the first time is why we call it “One Rotation,” because once that tassel is back in your hand, you are done! If maintaining sharp focus on your breathing proves strenuous, try counting one bead for each inhalation and one for each exhale. Do this only until you feel focused enough to resume counting solely exhales (as the exhale signifies the end of a full breath). Remember that meditation helps us to stop, calm, rest and look deeply. For my American and British readers, please emphasize the “stop,” in your practice. To “stop” means no goal, no drive; you are not moving anywhere including in your mind. Stop. Do not flick the mala to get to the tassel, just flick the mala to flick the mala. If you flick mala to get to the Guru/tassel, then you are not flicking the mala at all. Your hand might be using mala, but you are elsewhere, thinking about the reward, the goal. No goal, just sit (or walk, or stand, and so forth).